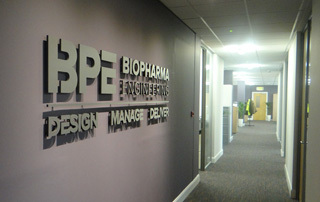 BioPharma Engineering is a vibrant and growing company offering great opportunities for current and potential employees. BPE is a business where transparency, open communication and a strong team spirit rules. Our principles of Vision, Passion, Integrity and Teamwork are embraced by each team member. Our focus is to support and develop every individual along the way, to succeed within engineering and their overall career development. Our investment in our new office demonstrate this commitment to our people and our clients. We foster this positive atmosphere through our flexible approach to the needs and goals of our team. We understand the importance of a healthy work/life balance and offer flexible working hours, part-time work and greater autonomy for our staff. We work hard and reward hard work.